It's not just about the sting or those big eyes. Ant specialists and other researchers also hone in on big-eyed ants for their relationships with plants. Those attending a UC Davis seminar this week on big ants will learn all about them, including the phylogenetic morphology. 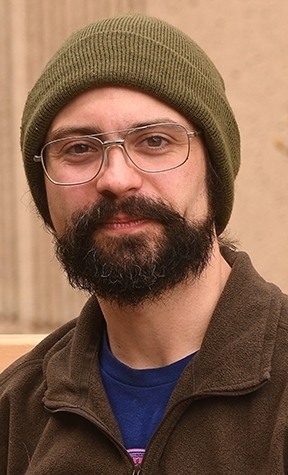 Brendon Boudinot, a Ph.D. candidate in the Phiil Ward lab, UC Davis Department of Entomology and Nematology, will speak on "Phylogenetic Morphology of the Big-Eyed Tree Ants and Kin (Formicidae: Pseudomyrmecinae)" at 4:10 p.m., Wednesday, Feb. 28 in 122 Briggs Hall. This is one of the seminars hosted by the UC Davis Department of Entomology and Nematology for the winter quarter. "Big-eyed tree ants are a singular and diverse group, which, according to the most recent estimates, contains about 300 species, many of which are undescribed," explains Boudinot, president of the Entomology Graduate Students' Association and an active member of the Entomological Society of America. 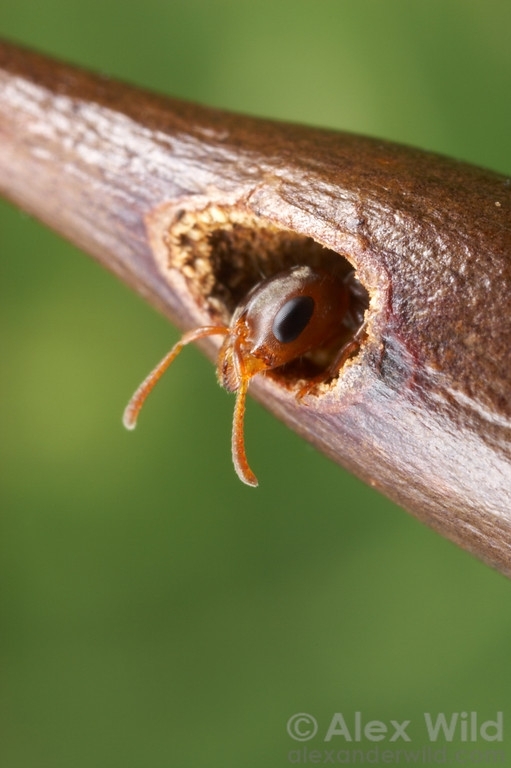 "In some cases, the plants contribute to the social wellbeing of the ants by investing in public housing, with the ants making their nests in preformed cavities within the plants, such as in the swollen thorns of various Acacia," Boudinot points out. "Indeed, these same Acacia provide the sole nutrition for their protectives ants, in the form of small, yellow, protein-rich food bodies at the tips of their leaves---in other words, the ants have become full vegans. Current evidence suggests that these tight relationships have evolved perhaps a dozen times within the big-eyed ants. However, the adaptations of these ants to living in state-sponsored societies is uncertain. It is one of the objectives of the present research to understand how the bodies of big-eyed ants have transformed over time, allowing the ants to optimize their relationship with plants." 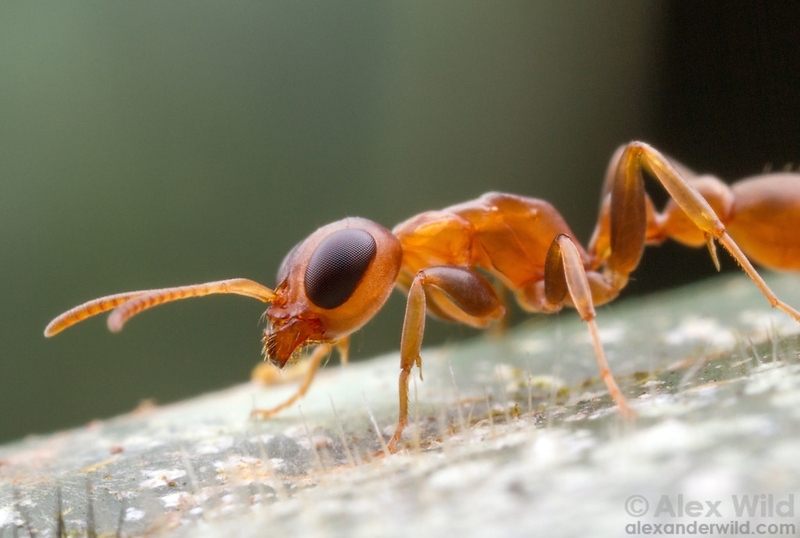 Boudinot will be illustrating his seminar with stunning photos of big-eyed ants, the work of Alex Wild, who received his doctorate in entomology from UC Davis (studying with Phil Ward). Wild is now curator of entomology, University of Austin, Texas. The UC Davis Entomology and Nematology's series of seminars for the winter quarter are coordinated by assistant professor Rachel Vannette; Extension apiculturist Elina Lastro Niño and Brendon Boudinot.